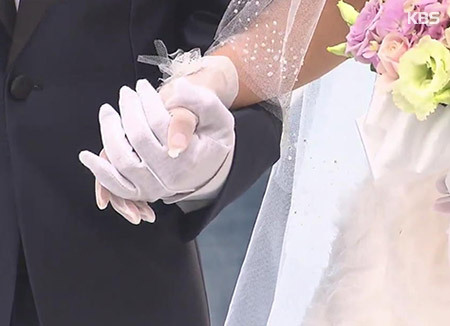 Recent surveys show that the percentage of unmarried South Korean men and women who believe it is necessary to get married has dropped by half in the past eight years. According to Statistics Korea's Social Survey data and a report from a group of experts advising the Presidential Committee on Aging Society and Population Policy, the percentage of single men who believe marriage is necessary has fallen from 63 percent in 2010 to 36 percent this year. For unmarried women, the figure has fallen from 47 percent to 22 percent. The percentage of all South Koreans aged 13 and older who consider marriage a must has steadily declined over the years from 64-point-seven percent in 2010 to 48 percent this year, marking the first time the figure has dipped below 50 percent. By gender, more men, at nearly 53 percent, view marriage as necessary, compared to women at a little over 43 percent. The experts called for a stable environment for employment and housing in order to combat the country's seriously low birthrate. It also advised expanding the social security system to ease the burden of childcare and education costs, as well as improving overall living conditions.